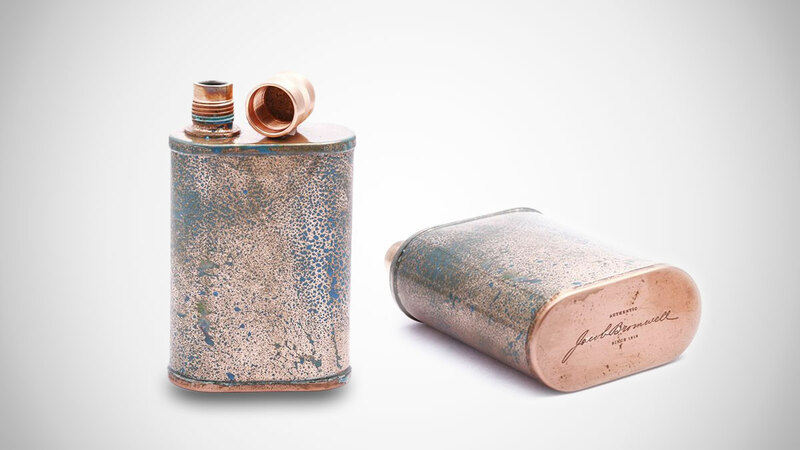 Jacob Bromwell's Jade Splash pure copper flask is the 4th in company's limited edition line. Like the Liberty, Sea Green, and Emerald before it, the Jade Splash flask will end up in the hands of just 25 lucky lushes. 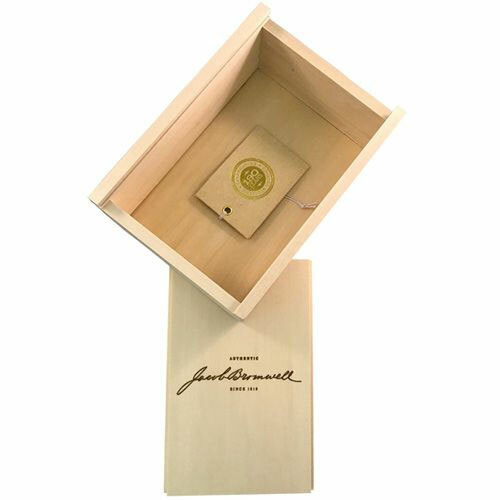 Lucky and wealthy lushes, or double lucky lushes who receive them as a man gift from their sugar mama, given the $1,000 price tag Jacob Bromwell has placed on the flasks. 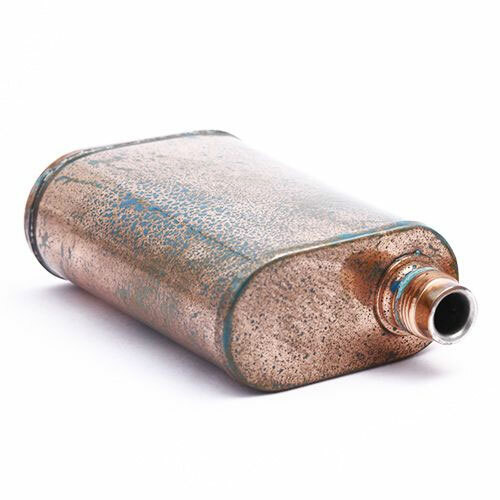 All of the Limited Edition Flasks share a patinaed, vintage look achieved through chemical treatments and etchings (even though brand new copper is always used). The Jade Splash, as its name suggests, shows tones of green speckled throughout its copper background. The flask's interior has undergone Jacob Bromwell's proprietary hot-tinned manufacturing process, whereby sheets of tin are applied directly to the copper with heat. This gives the flask uniqueness and historical accuracy, as well as makes it food-safe for drinking from. The Jade Splash Limited Edition Flask holds 9 ounces, or 6 shots, of bourbon, whiskey, tequila, or whatever you've got that's worthy of a thousand-dollar container. Each of the 25 flasks in this edition are hand numbered and, true to Jacob Bromwell style, made in the US.